I’m so glad you’ve found your way here! One of the reasons I made this website is to help families order their priorities right. The benefits to living according to God’s design are huge, but I think some explanation of each of the priorities would be helpful. Those who have committed themselves to obedience to Yeshua (Jesus) the Messiah are certainly in the minority. 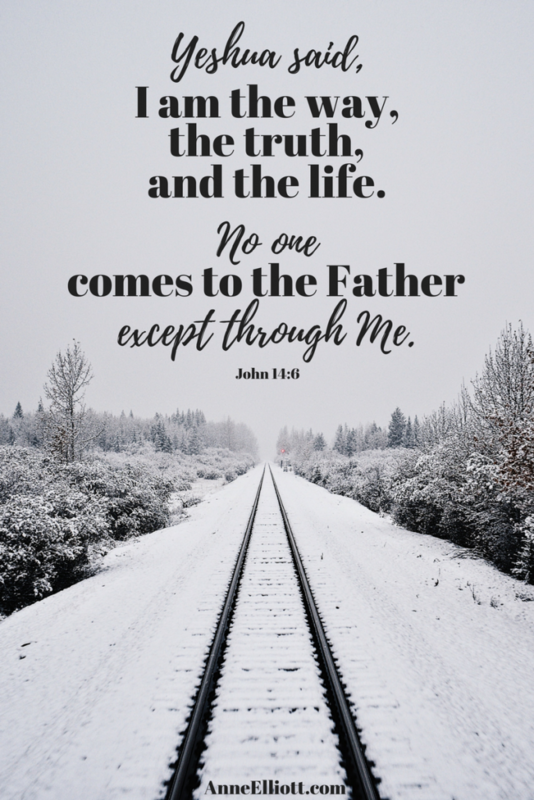 If you have acknowledged God’s call on your life and accepted Yeshua as Savior, you have repented of your sin and find that you have also begun to desire to follow God’s instructions for your life. All your friends might live to please themselves, but you realize that your life now belongs to your Creator. In a sense He purchased you — with the precious blood of His only Son — and you want to live your life to please Him. You see, God first created us to bring glory to God (Revelation 4:11). However, Adam and Eve chose to go their own way, and we inherited their sin nature (Romans 5:12). We were born in sin, wanting to fulfill our own desires. But this is not God’s design. God wants to be first place in our lives (Exodus 20:3). He is to be our number-one priority, with no exceptions. That means that God is over me. His wishes come before mine. I must choose to go His way, not my own. I don’t think God intends for us to have a self-debasing attitude. After all, He created us and intends for us to care for our bodies, our health, and our genuine needs. However, it comes down to a question of motive. Is my motive for taking a bubble bath so that I can rest my body enough to stay well so that I can please God? Or am I putting my own personal desires ahead of what I know God wants me to do? If I check my motive for actions against the things listed in this verse, I will immediately know whether my first priority is God — or myself! So let’s get practical. How can we ensure that God is first in our lives? First of all, realize that our relationship to God spills out into all our other relationships. Only when our vertical relationship to God is correct can our horizontal relationships with other people be harmonious. Since we’re talking about a relationship, let’s think about how much time we spend with God. If you want to foster a love relationship with God, of course you’ll spend lots of time with Him, by reading His instruction book (the Bible) and through daily prayer. Sometimes I don’t feel like it. I guess that’s similar to how sometimes I don’t feel very loving toward my husband. But I must still choose to spend time with God if I want our relationship to get better and better and closer and closer. So making God my first priority can be as simple as scheduling a time each morning to read my Bible, His love letter to me. I need to spend time talking to Him, so maybe I should purchase a prayer journal. Or I can learn the habit of staying in a running conversation with Him all day long. God should be first in my finances, so I should learn to give Him the first part of all my income, trusting Him to meet all my other needs. As God’s importance in my life spills out into my other relationships, I will notice that my family life improves. Why? Because God wants me to consider others’ needs above my own. Philippians 2:1-11 tells how the Messiah was our example in this. Even though He was God, Yeshua became a servant, humbled Himself, and even died on a cross in our place. “Your attitude should be the same as that of Messiah Yeshua,” says Philippians 2:5. Putting God first in your life isn’t popular, but it’s biblical. It isn’t easy, but the benefits are many. It takes discipline and endurance. As you contemplate God’s great love for you, start to take practical steps that will make Him the number-one priority in your life. Knowing God — I love these practical suggestions for studying the Bible personally and with your family! The Bible online in several different languages and versions. Want to read through the Bible in a year? Here is the Bible-reading plan I use, with an explanation of why. BibleHub has Bible-study tools available at your fingertips online! What a helpful resource! E-sword is the free software my husband and I use daily in our home. It includes the Bible (KJV and other translations), as well as commentaries, historical church literature, concordances, dictionaries, maps, and more. I have learned much about prayer by studying the prayer habits of the Jewish apostles at the time of the early church. Read more about our Hebrew prayer heritage here. The Scripture Memory Connection – Helping you hide God’s Word in your heart and meditate on it all day long. Look up the meaning of Bible characters’ names in the Hitchcock’s Bible Name Dictionary. This is a great Bible study — you’ll be amazed at what you’ll learn! Learn to understand Biblical Hebrew, including word studies and more. Click for our favorite books on your relationship with God.